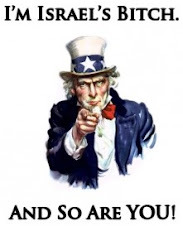 is the alexandria police department refusing to answer citizens public records requests? the town talk has an article today "fired officer had been suspended two times" (see link) about the kenny rachal/shocking apd video/taser scandal looming large over the alexandria, la. police department. one item that caught our attention was a "story chat" comment by someone who goes by the story chat nickname of "City Watch"
It takes more effort than necessary in this City but again I thank The Town Talk for trying to wake people up. Soon I hope they will report on a story of a police unit being totaled by an officer, his statement and the penalty he paid. It is simply out of hand. I also hope they will report on the dead human body found on an early Sunday morning 11/12/2006 approximately 7:00 AM in the back of a limo that thusfar they have refused to furinsh me public record. Can't say they didn't get it, Certified #7001 1140 0001 7666 3377 May 17, 2007 and #7006 3450 0001 4180 8171 dated 1/04/08 with photo. This does not count the telephone conversations and emails during this period and they wonder why the lack of respect. if you go to the website of the united states post office you can enter the number of the certified mail in their track and confirm feature. same with the second certified mail piece that 'city watch' mentions. 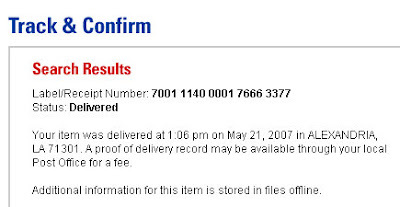 one thing that we noticed is that the may 2007 certified piece says that it was delivered to an address in alexandria, la. within the zip code 71301 and the post office says that the january 2008 certified mail piece was delivered to an address in alexandria, la. within the zip code 71309.